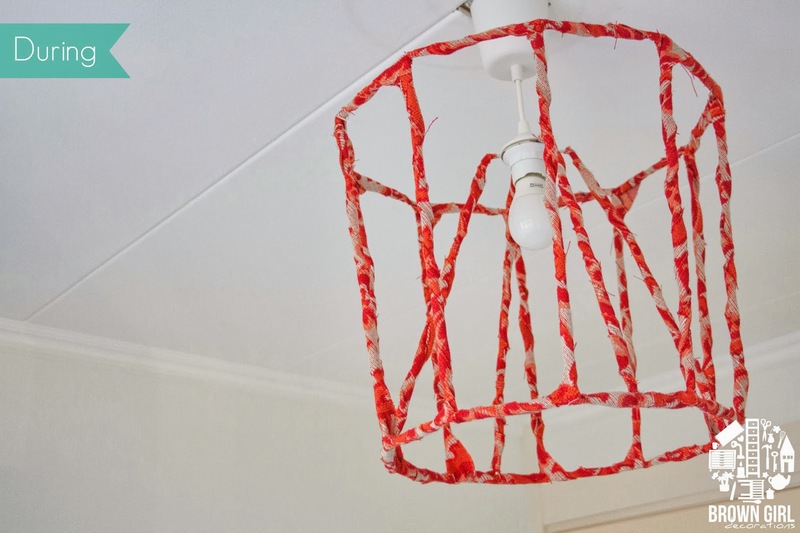 I’m sharing a quick and easy lampshade diy with you today. I did this project about 10 months ago but wasn’t sure I liked the end result. I decided to live with it for a while and then life happened. You know how it goes right? Well last week I decided to go ahead and redo it. I like this look much better for the nursery. We have quite low ceilings on the first floor of our 1930’s house. So whenever we are thinking about lighting we need to take that into account. 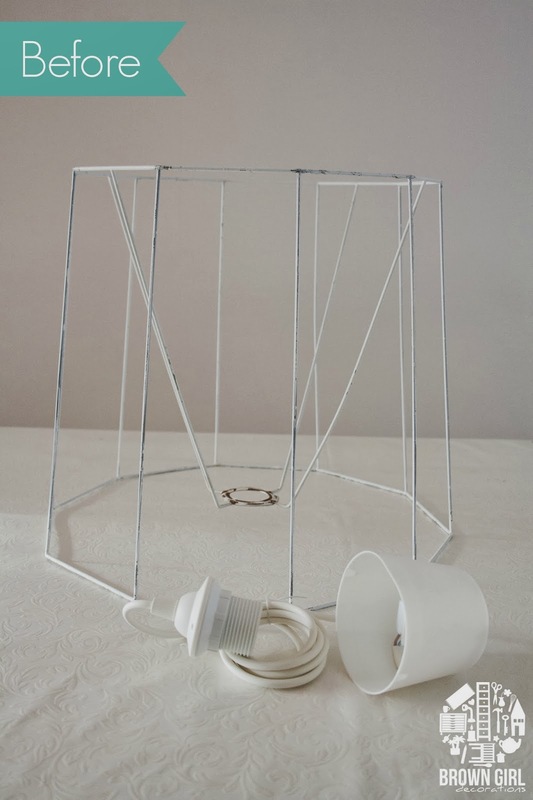 For the nursery I wanted to use a big ceiling lamp. All supplies I used I already had so no money was spend on this diy. 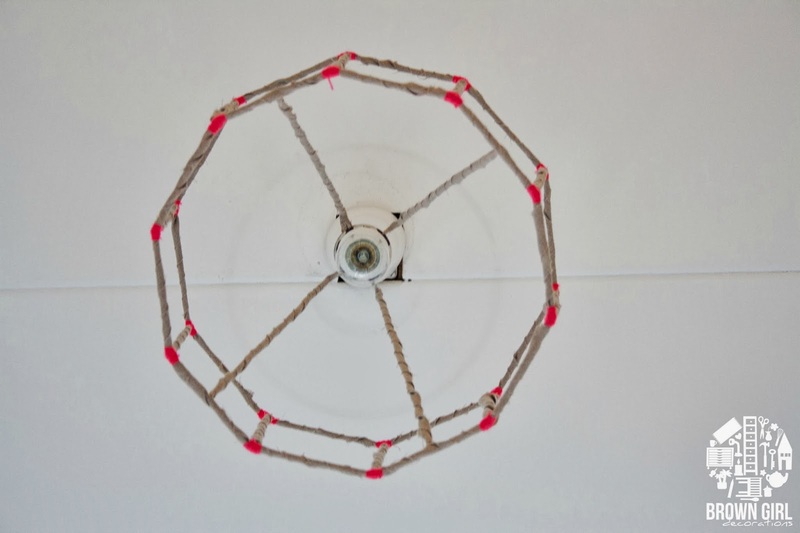 What you need is an old lampshade, fabric, scissors, glue (I used regular craft glue) and yarn. First thing I did was rip off the old grubby fabric. I used the Aina linen fabric natural from IKEA. I cut the fabric into strips and just wound it round the lamp frame. The ends I attached using a bit of glue. 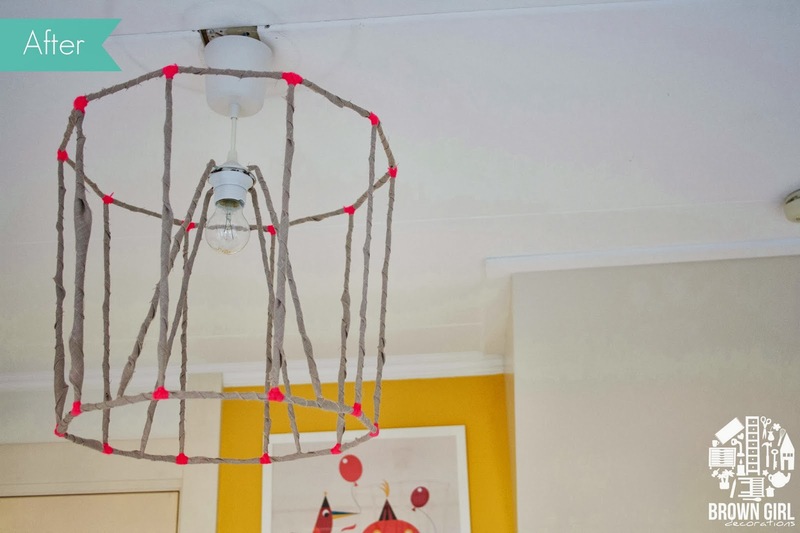 I wanted to add a bit of punch to the lampshade so I added neon pink yarn at each intersection of the frame. I like it better this way.